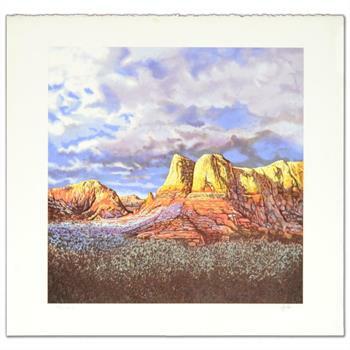 Jorge Braun Tarallo, "Oak Creek Sunset" Ltd Ed Lithograph, Numbered and Hand Signed with Certificate. 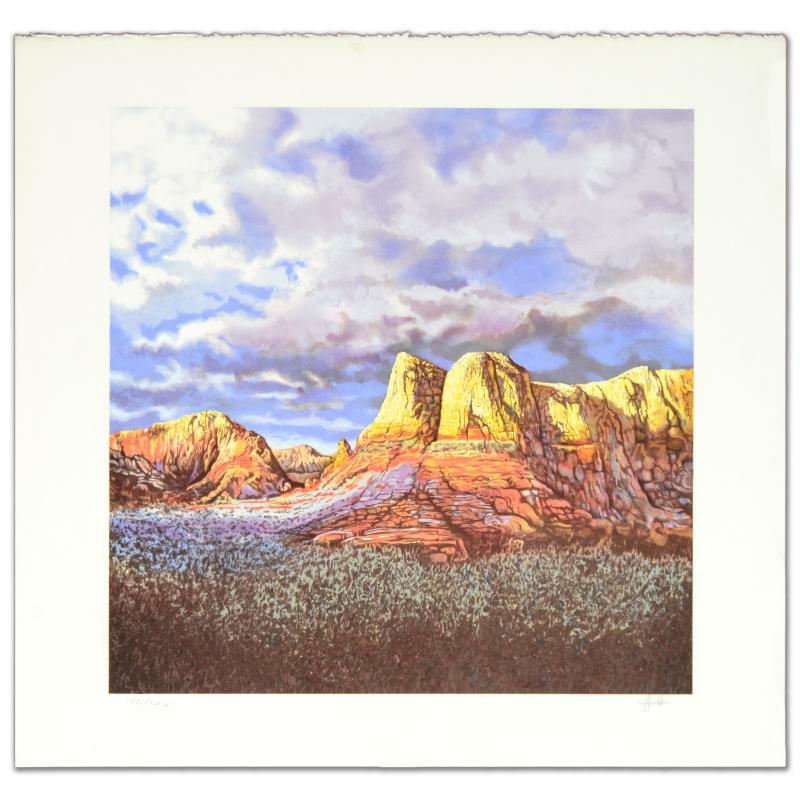 "Oak Creek Sunset" is a limited edition lithograph on paper by Jorge Braun Tarallo, numbered and hand signed by the artist! Includes Certificate of Authenticity! Measures approx. 24.5" x 23" (with border), 18.5" x 18.5" (image). Jorge Tarallo was born in Montevido, Uraguay in 1951. He studied at the National Arts School under the instruction of known artists Riveiro and Garino. In 1972, Tarallo came to the United States to start his painting career. A key aspect of Tarallo's art is the particular detail payed light and shadow in his works. 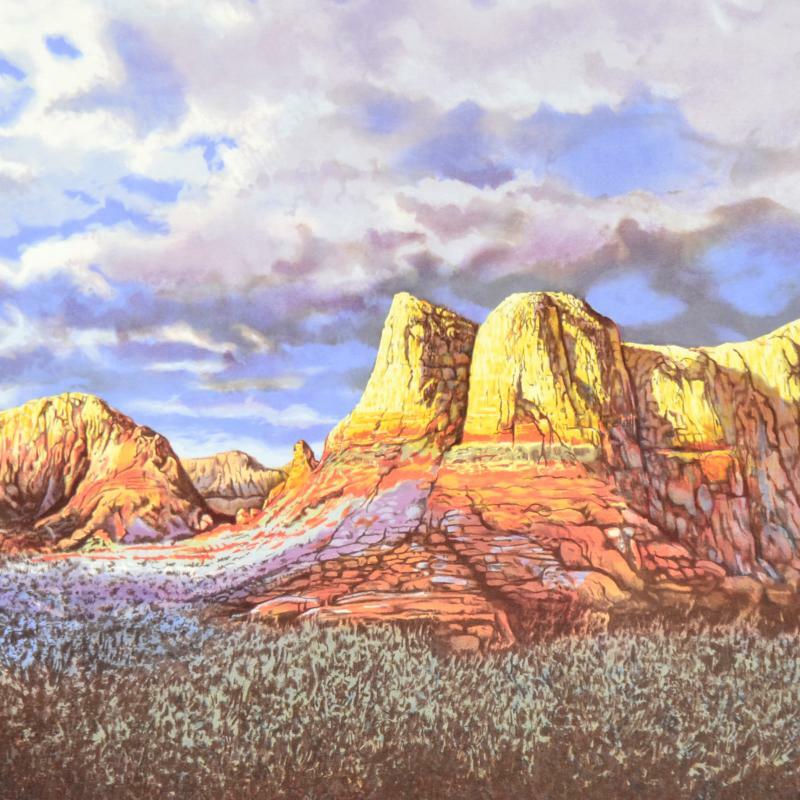 Critics comment on his art stating that they see influences from Rembrandt in his landscapes and seascapes, however, he describes himself as an "impressionist concerned with realism and constructivism. Since beginning his career in the United States, Tarallo has gained a following of collectors who have experienced his art in gallery exhibitions from Montevideo, Bueno Aires, Sao Paolo, Rio de Janeiro, New York, Chicago and many other American cities. Jorge is married, and splits his time spent between the United States and Uruguay; because of his constant traveling he is able to depict masterful scenes of both Americas.